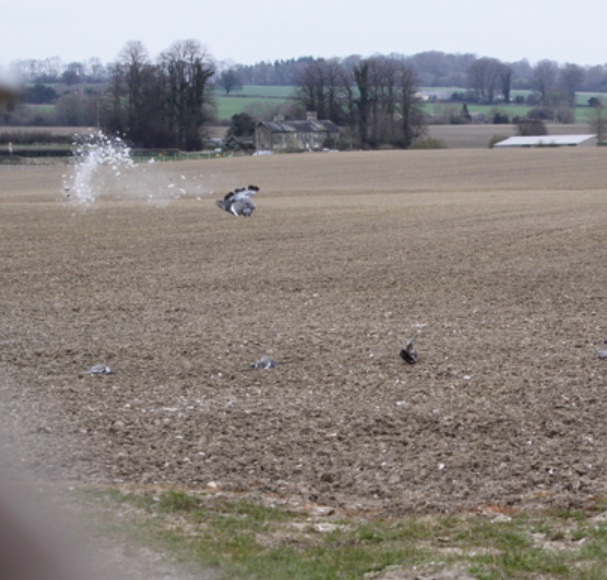 Glorious Game arrange pigeon shooting over more than 20,000 acres of ground in Hampshire, Berkshire & Wiltshire. We provide all the equipment - hides, seats and decoys - and stay close by you all day to ensure we offer the best possible shooting. We’ll also offer instruction if you’d like it too, as well as hire guns and cartridges. In 2018 we had 20 days shooting with 42 hides and we shot 10,000 wood-pigeons. That’s an average 238 per hide. 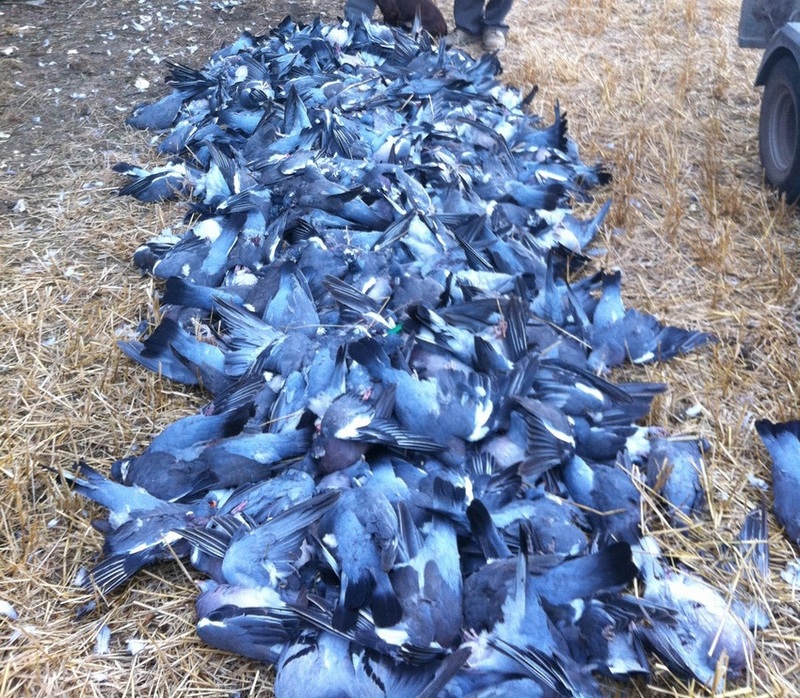 Our largest day was 1,087 birds to four guns. Our professional guide has shot woodpigeons for 50 years (he bagged his first aged eight). He has been described by The Field as a “woodpigeon nemesis”, “a crack shot and pigeon junkie.” He’s not a bad coach either, as a renowned game-shot who regularly features in 1st XI lists of top pheasant shots. We will normally arrange a few days that work with guest’s diaries a few weeks before and then get back in touch three days before these dates in order to confirm where we will be shooting. A day would start at between 8-10am; the hide will already be built for you. Our professional guide will give a health and safety briefing and explain what you can and can't shoot. He will explain how a decoy pattern works and where he expects the birds to come, whether they are being flighted or decoyed. You will have lunch in the hide unless you’d like us to take you off for lunch. The shooting can continue until 3pm in the winter months and until 7pm in the summer months. The days are run for between two and four guns and we often put together bespoke packages.